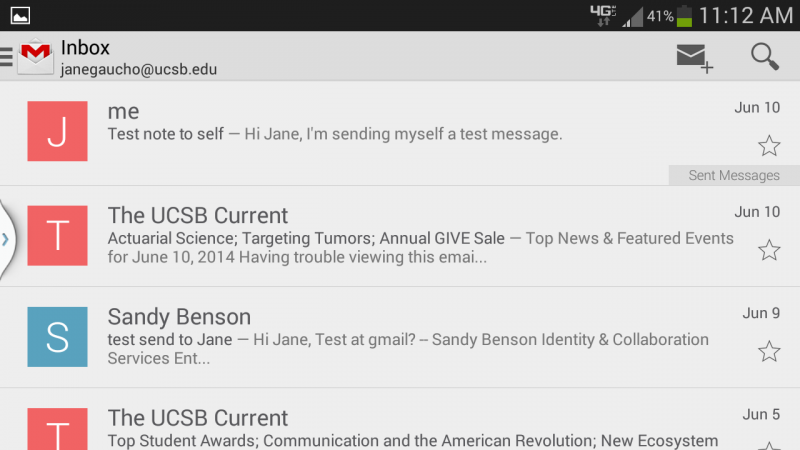 Because Android is made by Google, the Android OS has a built-in Gmail App that works great for accessing your Connect/Google Apps account from your Android device. Note that Android devices vary widely, so what's displayed on your device may look somewhat different from what we've presented here. 1. 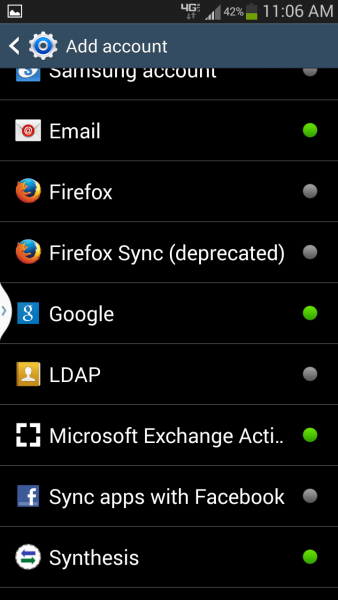 Open the 'Settings' app and select Add Account. 4. 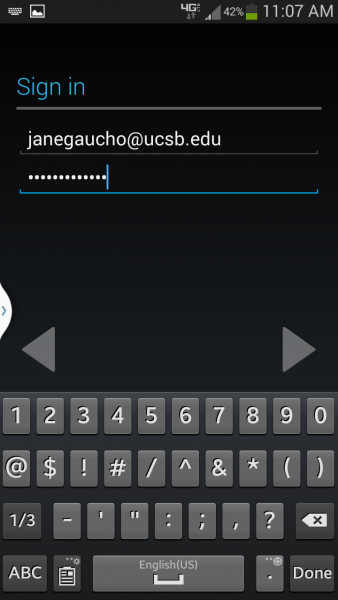 At the 'Sign in' page, type your Google Apps username (UCSBnetID@ucsb.edu) and UCSBnetID password, and press the arrow on the right. 5. Select OK to agree to the Terms of Service. 6. 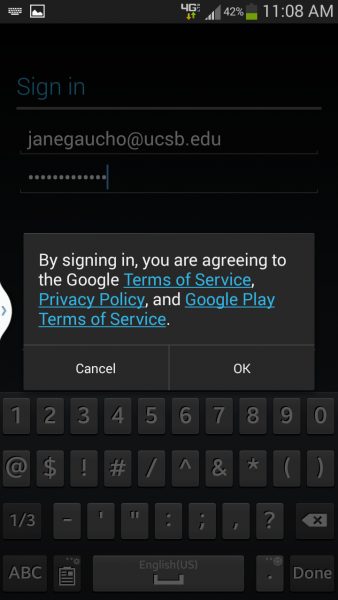 You will then be given the opportunity to sign up for various Google services. You may still use your Connect/Google account even if you uncheck the 'news and offers' option, press the arrow on the right, and Skip the payment information offers. 7. The next screen should say 'Account sign-in successful'. 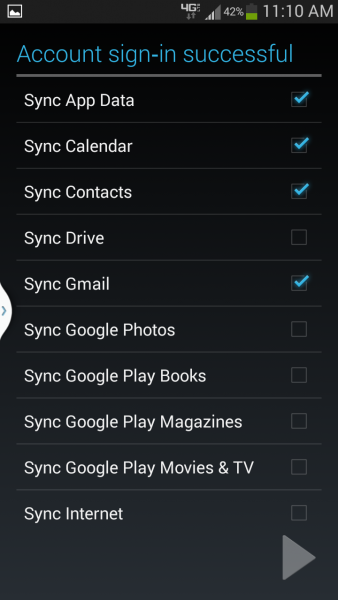 Uncheck all apps except Sync App Data, Sync Calendar, Sync Contacts, and Sync GMail. Press the arrow in the lower right corner. 8. That's it! 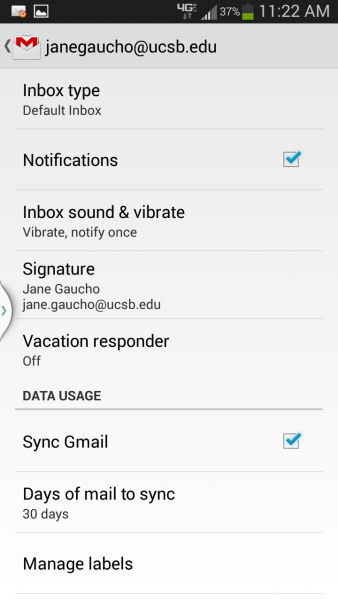 You may view your account by opening the applications GMail (different than Email), Calendar, and Contacts on your android device. 9. You will be given the opportunity to sign up for Google Hangouts. You may decline. 10. 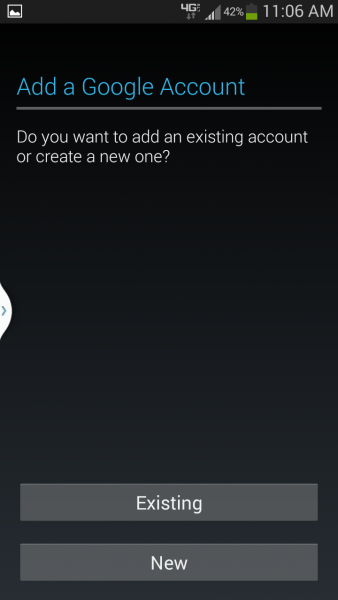 To personalize your account settings, press your android device's Menu button, select Settings and select your Connect/Google account. 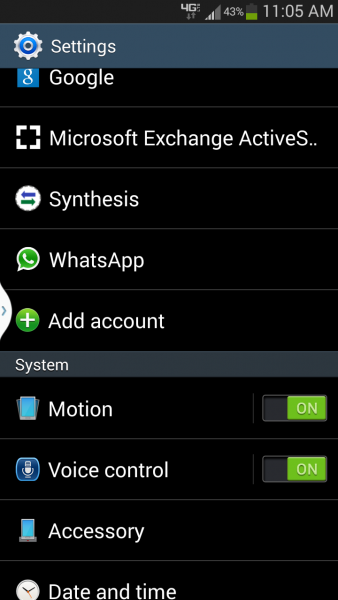 Here, you can configure your message notifications, create a signature, select the number of days of email to sync, etc.